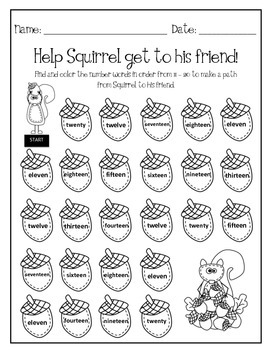 Squirrel's Fall Clip a Number Words: A fun game to use during centers to help your students practice reading the number words 0 - 20. 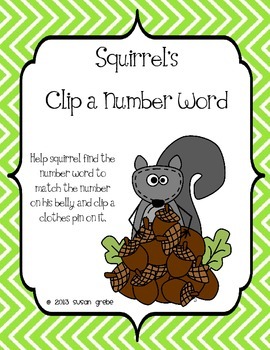 Student help squirrel find the number word to match the number on his belly and clip a clothes pin on it. 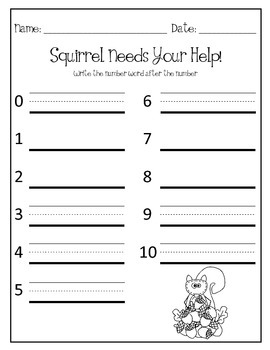 There are follow up sheets that students may complete if they have extra time during the center. I print out two sets to use during my center time. 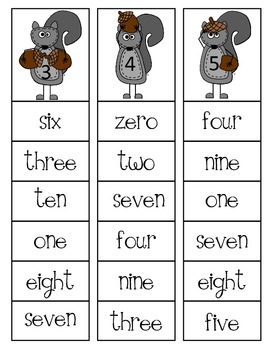 Students work with a partner to clip the right number word.